Choco na gatas o gatas na choco? Lipstick na lip gloss or lip gloss na lipstick? 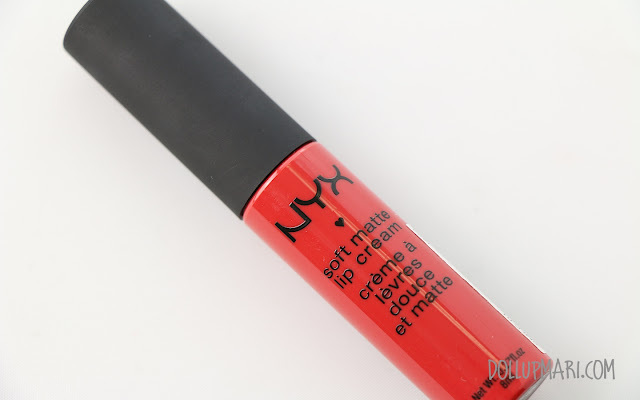 NYX soft matte lip cream raises the same questions XDDD It's not a lipstick, it's not a lip gloss, but the idea of a lip cream isn't necessarily that easy to imagine either. 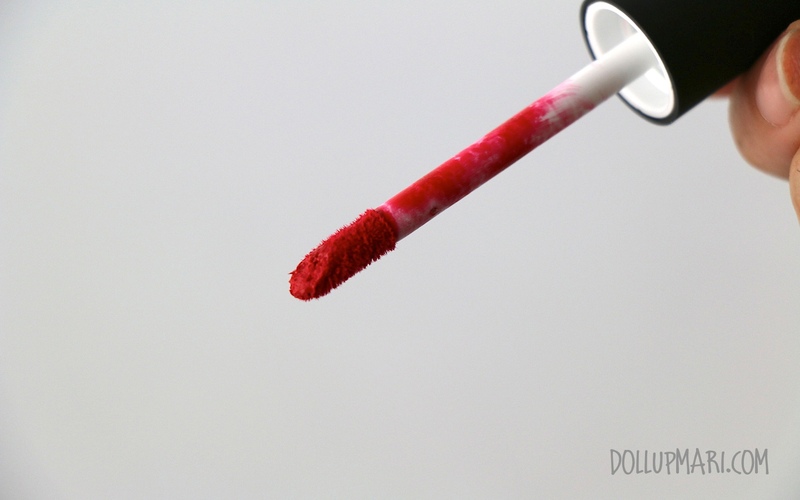 In a nutshell, it applies like a cream, but it dries to this velvety finish. The longevity is impeccable. I have had this product on and ate, drank water, talked like there was no tomorrow, and the product stayed strong. Even when I rub my lips with this product on, little to no transfer occurs. I even slept with this product on and it was still going strong in the morning! 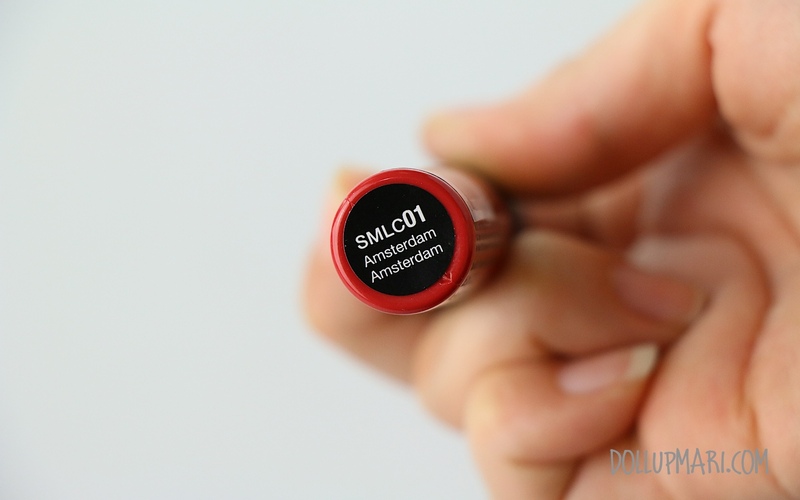 This shade is a pink based red, and as the product name implies, it goes on with a matte finish with no trace of shimmer or glitter. It is not a shocking red even though the swatches show it to be a more shocking bluish toned red. 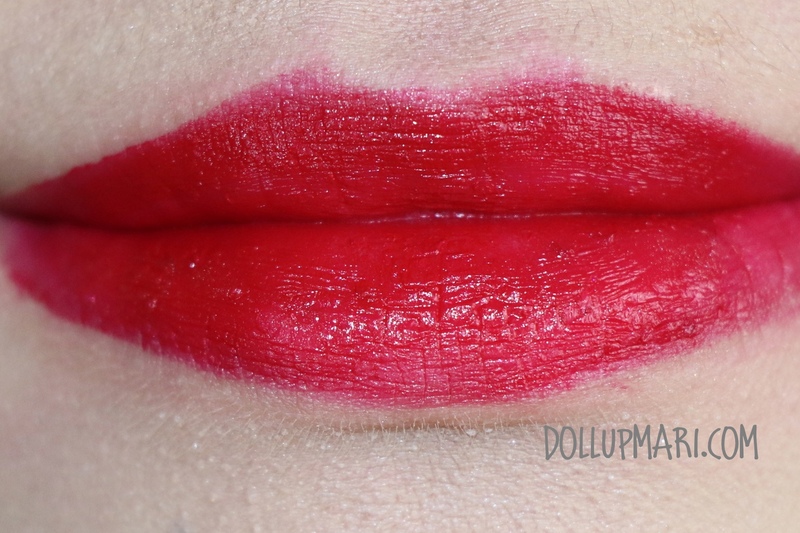 This is a close up swatch on my lips. You would notice that when on the lips, it's no longer as shocking. And this is further proved in this whole face photo. It's a nice red, but it's not shocking. This is a good thing and a bad thing because it's not that daring for those who are on the conservative side, but this may not suit a lot of skintones. It might not look nice on people with lighter skintones than mine, and may not suit people with honey to cocoa colored skin. However, since it's not shocking, at least it's easy to pull off. Oh yeah, it's soooo affordable at 235 pesos a pop! Given how cheap it is not long I will be able to collect all shades hahaha. I got this from NYX Wholesale PH, the price they have is really good (probably the cheapest in the sea of people who sell this for 250 and higher! ), but you have to wait a month for your items to arrive. The first time I ordered a lip cream, it was really agonizing to wait, but now that I have several and the new ones will just add to my collection, I no longer feel bored with the wait.